Burgoynes were pleased to take part in a learning event Mock Trial organised by the Property Team at Bristol Technology and Construction court this month. 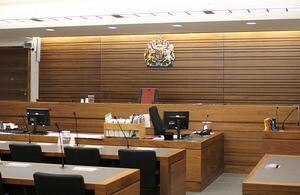 In conjunction with Crown Office Chambers the invited attendees were given the opportunity to experience a truncated but full days’ trial in front of a judge based on an actual case. Attendees were given the opportunity to listen to both sides of the case being presented, along with watching the cross examination of the expert (Keith Benjamin from our Basingstoke office). All guests were provided with a full bundle including the Particulars of Claim, the expert report and photos, and the pleadings. The final session had a summing up, judgement and then gave those observing an opportunity for a Q+A. The event offered a unique learning experience for those who don’t often get to see a court in action and feedback was uniformly very complimentary of the experience. DAC Beachcroft were represented by Martin Holmes and John Hinton. Crown Office Chambers by Richard Lynagh QC (Judge), Michele De Gregorio and Athena Markides.